"Brilliant performances elevate a somewhat standard historical drama"
Jack O'Connell has recently risen from obscurity into a level of prominence worthy of mention alongside acting powerhouses James McAvoy and Michael Fassbender. 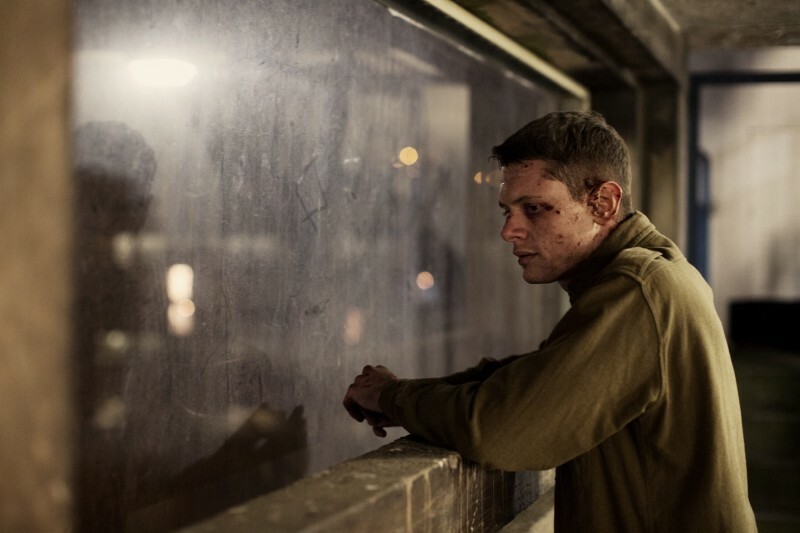 In his third spectacular performance of 2014 (Starred Up and Unbroken) as a disillusioned British infantryman lost in the brutal streets of Belfast, O'Connell proves that he is someone to watch out for. 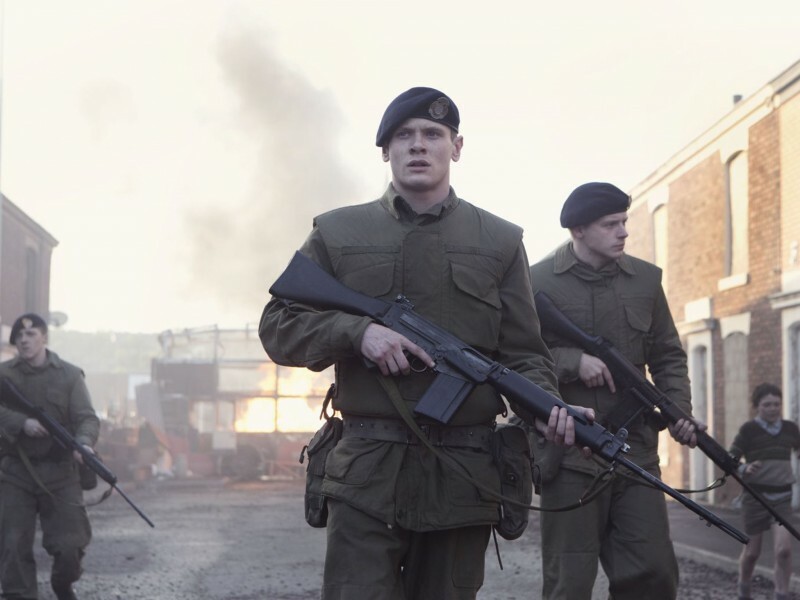 Yann Demange's '71 focuses almost entirely on O'Connell, relying heavily on emotionally intuitive camerawork, editing, and his lead actor's talent to bring together a gripping, and all-consuming film about the horrors of an IRA-dominated Ireland. Gary Hook (Jack O'Connell) is a new recruit in the British Army. His platoon, nearing the end of their training, is expecting deployment abroad in Germany, but is hastily moved to Northern Ireland to assist with Britain's peacekeeping measures. Feeling like strangers in their own country, the group is assigned to a new Lieutenant (Sam Reid), as fresh-faced and inexperienced as his bewildered recruits. Looking to build a rapport with the citizens of Belfast, the Lieutenant makes a number of mistakes regarding crowd-control measures, leading to a large-scale riot. Hook darts into the crowd to retrieve a fellow soldier's gun, at which point beaten by the incensed Irish mob. Left by his Lieutenant, Hook finds himself alone in utterly unfamiliar and hostile territory. A web of alliances, backstabbing, and terrorist plotting is revealed as Hook desperately tries to flee this newfound hell, unable to trust anyone, and constantly in life-threatening danger. Demange's camera exhibits an unbalanced sense of confusion. Tightly controlled close-ups increase the sense of impending doom and isolation, while a dizzying hand-held imparts the complete disorientation of life on the edge. Demange, his cinematographer, Tim Radcliffe, and his editor, Chris Wyatt work in perfect unison to capture the essence of Hooks struggle to survive. Action sequences contain a raw frenzy; carefully-placed jump cuts hike up the adrenaline while maintaining enough continuity as to not be distracting. Radcliffe's gritty shooting enhances the sense of time and place, the handheld camera functioning as a disembodied wartime documentarian capturing the raw brutality of urban warfare. Production design by Chris Oddy further reinforces the time period, meticulously designed sets imbued with 1970's style, showing just enough deterioration to reflect the cracking veneer of a crumbling society. More than just the story of an abandoned soldier surviving beyond the front lines, '71 is a testament to the propagation of humanity. Even in these bleak times where neighbors are fighting neighbors, family against family, helpers are everywhere (credit to Fred Rogers for the vocabulary). Regardless of political affiliation, religion, or neighborhood status, Hook's only means of survival is through several courageous individuals willing to help another human being. For much of the film, we are shown the multitude of atrocities committed by paramilitary factions of Ireland – against one another and against the intervening British troops. As '71 progresses, however, a much more sinister picture begins to develop – counter-intelligence agents working to promote their own strategies, and inept leadership reveal gross governmental ineptitudes for dealing with the escalating conflict. Pockets of evil are spread over the film, and while they take the form of several characters, it is the same, self-serving blindness that is ever-present in historical war dramas. Covert agents willing to sacrifice countless lives to achieve their dubious ends, and scheming youngsters, whose critical thinking so obscured by hatred and their search for acceptance, that they are willing to do almost anything to gain revenge. O'Connell's fabulous turn as the dumbfounded private is certainly the highlight of the film, yet he is surrounded by a wide array of similarly-talented actors. Sean Harris (Prometheus) is terrifying as the distantly cold Captain Sandy Browning – a man so embroiled in the conflict that his mission has begun to blur. The young Corey McKinley gives a memorable performance as a young Irish loyalist. Foul mouthed, and the most straightforwardly confident person in the film, McKinley's brutal honesty with his character's circumstances breathes life into the short time he remains in the narrative, and someone to keep an eye out for in future productions. 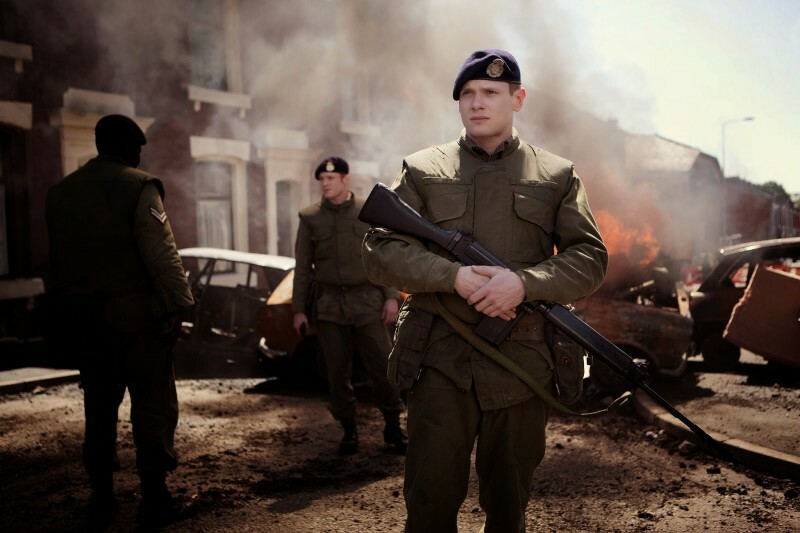 Gritty and riveting, '71 is an electrifying drama about life in war-torn Belfast. Politics largely absent, director Yann Demange focuses on the human element of this historical black eye – both condemning and praising each side for their humanity and lack thereof.